Show they are not forgotten. All gave some. Some gave all. And some never came back. 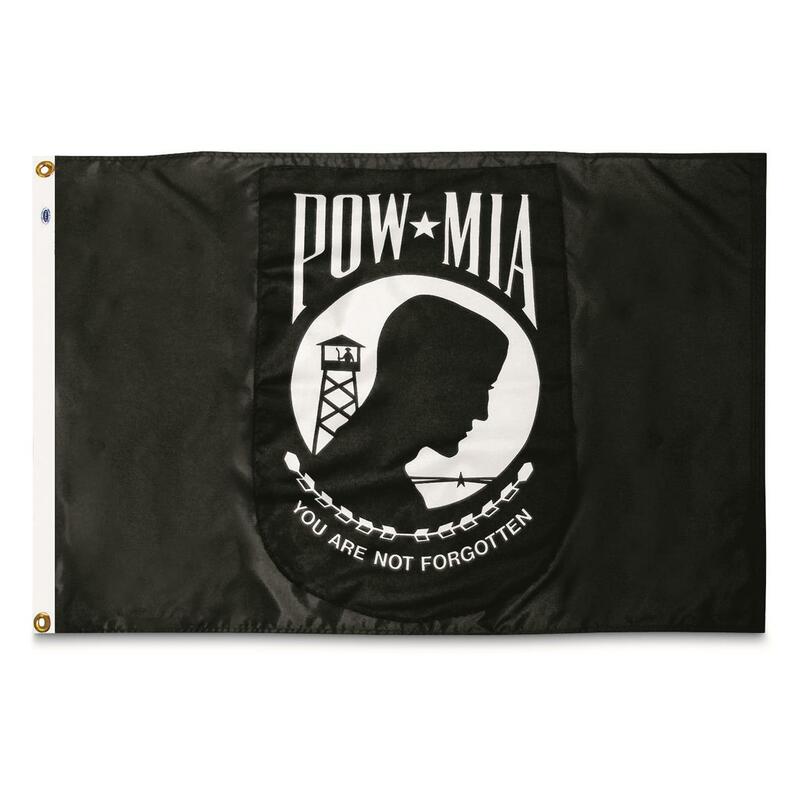 Keep them in your thoughts and show that you'll never forget them with this POW/MIA Flag. POW Flag is rated 4.5 out of 5 by 42. Rated 5 out of 5 by Flames from GOOD VALUE BEEN BUYING THE POW FLAGS FOR AT LEAST PAST TEN YEARS> GOOD VALUE< WEAR WELL<ALWAYS FLY HIGH!!! Rated 5 out of 5 by papajohn from Well made item. Great price. Nice item. Would purchase again. Rated 4 out of 5 by thegman from Great Price, Good Value It's a good one-sided flag for the money. It flies 24/7 except in really bad weather and will last six months or more. Rated 2 out of 5 by JOEY from MADE IN CHINA MATERIAL IS SO THIN ONE CAN SEE THROUGH IT, WON'T LAST TOO LONG IN THE WIND.